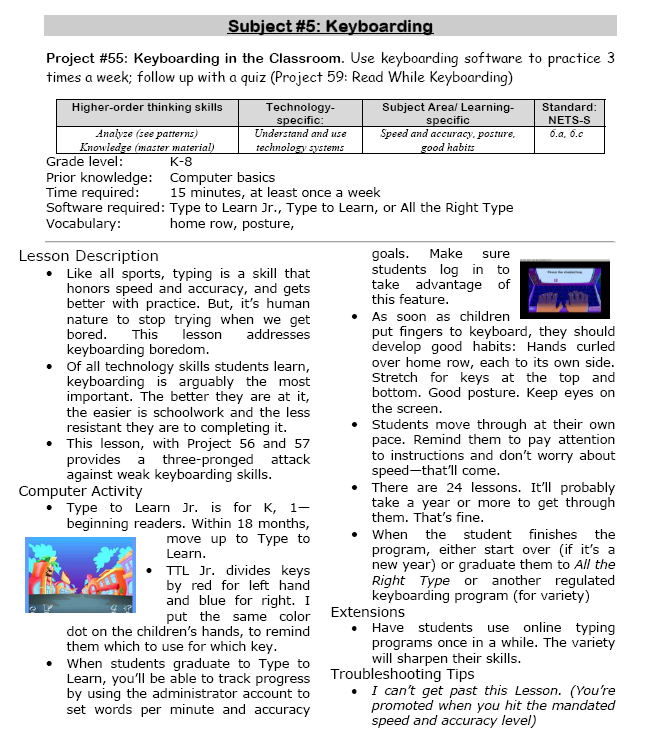 I’ve used lots of methods to teach keyboarding to kindergarten through fifth graders. The most effective is a good software program that keeps track of a student’s progress. I’ve tried to do this with online Free sites (like Dance Mat Typing and Typing Web). These are fun, useful as a break, but always students get more out of an enjoy best the software. Use use Type to Learn, but there are options. Pick one and go with it throughout the year. Sure, take a break for online variety, but return to the software. Tags: keyboard skills, Keyboarding, learn keyboarding, software, teach keyboarding, teacher resources. Bookmark the permalink.